Today (well, tomorrow the 24th in Australia) marks Blackline Safety's official launch into the Australian and New Zealand markets at the Australasian Oil & Gas Exhibition and Conference (AOG). In its 35th year of operation, AOG brings together over 500 exhibiting companies from 25 nations that present the latest innovations to nearly 10,000 energy industry professionals. 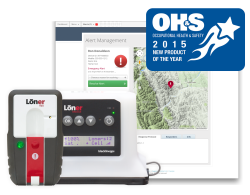 Over the next three days we are demonstrating our lone worker safety solutions— including the award-winning Loner Bridge System, standalone cellular-connected devices and lone worker app for iPhone, Android and BlackBerry—at stand S32 in the health and safety pavilion of the Perth Convention Exhibition Center. If you're at AOG, please stop by our booth for a demonstration. For more information, check out our media release.